Unless you spent the last months in a bunker, you probably heard about the threat posed by cybersecurity to businesses in the UK and elsewhere. But the risk hasn’t gone away — and it’s of particular concern for local service providers. Last September, a survey of around 1,000 small businesses across Britain revealed that 38% will spend nothing whatsoever to protect themselves from cybersecurity threats this year, with over a third admitting they lacked the resources to do so. But cybersecurity is just as important for your removal service or hair salon as it is for big corporations. Backing up your data in the cloud, learning how to protect your computer, keeping your smartphone and tablet safe and sound, or using two factor authentication for your main accounts — all these are vital steps to protect your computer from viruses. The reason why this should matter to you is simple: it’s going to cost you money. Small businesses and self employed are often the target of cyberattacks. According to the National Cyber Security Centre, if you’re a small or medium sized business there’s around a 1 in 2 chances that you’ll experience a cybersecurity breach that can potentially result in costs of around £1,400. A situation that is likely to get worst with the new European regulation aimed at protecting personal data (GDPR) comes into force next year, and it could result in fines of between 2 and 4% of annual turnover (or £20m). Malicious software, or malware, is one of the common threat that can harm your local shop. Whether at work or from your home office, you’ve probably experienced at least once your computer starting to slow down or acting weird. When this happens, a virus or malware is the most likely culprit. Typically, once installed on your machine these will try to get a hold of your system, track or encrypt your files, or block your data until you pay a ransom to release it. Many people think they can get away without it. But they’re wrong. Fortunately, there are tons of antivirus/malware software options out of there, some of them integrated for free with operating systems. So make sure you invest in one (and that you actually turn it on) on your all your desktops and laptops – and home computer. Installation is usually pretty straightforward: double click on the installer to begin the process, and follow the steps. Then make sure you’ll keep it running. If your business also operates with tablets or smartphones, you also need to make sure these devices stay safe. In this case, you don’t need antivirus software. But make sure password protection is switched on and that you can easily track, lock or wipe your device. Don’t forget to train your staff about cybersecurity, making sure they learn how to protect computers from viruses and can identify risk factors. For instance, the only place you should download apps for smartphones and tablets is from approved manufacturers such as the Apple Store or Google Play, as unknown vendors represent a risk (as they aren’t checked for malware as rigorously). If you need to create several accounts, for instance on socials, emails or on different devices, make sure that standard accounts don’t have the same permissions as admin accounts and that you only grant access to those that need to. Also brief your employees about email attachment or clicking on a link in an email they don’t know the sender. If you hover over a link you should be able to see where the link is really taking you. OK we know how getting notifications about new software update every other day can be nerve-wracking. But these notifications are essential, as they ensure your software and firmware are kept up-to-date with the latest versions. In fact, if getting protection software is the first step towards security, maintaining it should be your second priority. So stop hitting ‘Remind me later’ and update your antivirus software right away. The same goes with your operating system, keep it up to date as well as on your phone, tablet or any other device. If you don’t want to be constantly disturbed with any new software update, set to ‘automatically update’. Once you stop getting new updates, this means your product has reached the end of its shelf life and that you need to upgrade to a new version. Of course, USB sticks are incredibly practical to transfer files quickly. But they also represent a risk as it is difficult to track them and know what’s inside. This means they could potentially put your entire business at risk if used not carefully. Think about how many of your employees are using USB sticks. Inadvertently plugging a previously infected USB stick into a computer happens more often than you might think. To reduce the risk, you have different options: you can block access to physical USB ports to all users, you can use antivirus software to scan for USB sticks and memory cards (see Tip #1), or you can distribute approved drives and USB cards to all your staff, making sure they only use them at work. 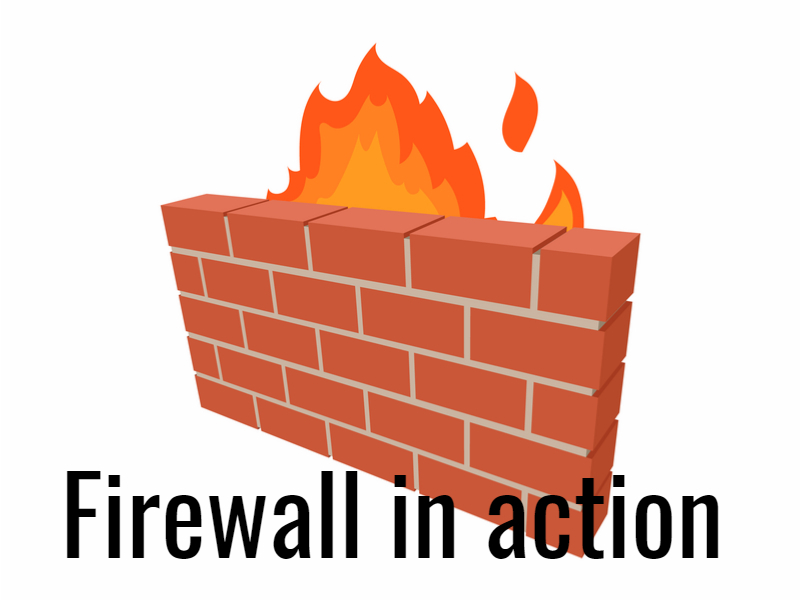 A firewall is a software program that acts as a buffer between your network and external network. Basically, it chooses whether to allow or block incoming or outgoing based on certain rules which you can define. Doing so helps screen out hackers, viruses and worms. Most operating systems now integrate a firewall. Switch yours on at all times. Follow these steps to protect your computer from viruses and keep your business running smoothly. Then breathe a sigh of sweet relief.